Announcement Patchwork quilts are made with new quilt shop quality 100% cotton fabric. Quilts are READY TO SHIP-you don't have to wait 2-3 weeks! Patchwork quilts are made with new quilt shop quality 100% cotton fabric. Quilts are READY TO SHIP-you don't have to wait 2-3 weeks! My helper choosing vintage buttons for my selvage lovelies! I take quality quilt shop fabric and cut it into squares. I then sew the squares back together to make a scrappy patchwork quilt. We quilters are crazy like that! I love to look at and work with these quilts because they remind me of my Grandmother. I am a grandma now (Vivi) and I hope my grandkids remember me sewing and making quilts when they get older. I make t-shirt quilts in my Etsy shop-EggMoneyQuilts-and my clients choose their fabric from Fabric.com. They love to make their quilt personal with special fabric. 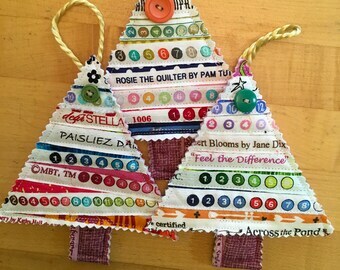 I use the fabric that is left over in my beautiful scrappy patchwork quilts! Everyone wins!! Fabric surrounds me every day! I love to cut fabric up and sew it back together!